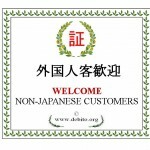 Posted on February 4, 2011 February 4, 2011 by Debito Arudou Ph.D.
Hi Blog. Here’s some news on a MOFA survey that was skewed (by dint, for one thing, of it being rendered in Japanese only, effectively shutting out many opinions of the NJ side of the marriage) linguistically to get results that were negative towards the signing of the Hague Convention on Child Abductions. Even then, MOFA got mixed results (as in, more people want the GOJ to sign the Hague than don’t, but it’s a pretty clean three-way split). Nice try, MOFA. Read the survey for yourself below and see what I mean. In any case, the bureaucrats, according to Jiji Press of Feb 1 (see bottom of this blog post), seem to be gearing up to join the Hague only if there is a domestic law in place for Japan to NOT return the kids. I smell a loophole in the making. TOKYO — An online survey by the Foreign Ministry showed Wednesday that people who have directly been involved in the so-called parental ‘‘abductions’’ of children as a result of failed marriages were divided on Japan’s accession to an international treaty to deal with child custody disputes. Of 64 respondents to the questionnaire posted on the website of the Foreign Ministry and its 121 diplomatic missions abroad between May and November last year, 22 were in favor of Japan joining the 1980 Hague Convention on the Civil Aspects of International Child Abduction, while 17 were against the idea. The remaining 25 respondents did not make their stance clear, said Parliamentary Vice Foreign Minister Ikuo Yamahana at a press conference. The convention provides a procedure for the prompt return of children to their habitual country of residence when they are wrongfully removed or retained in the case of an international divorce. It also protects parental access rights. Those seeking Japan’s accession to the convention said Tokyo should no longer allow unilateral parental child abductions as the country is perceived overseas as an ‘‘abnormal’’ nation for defending such acts. People opposed to Japan’s signing of the treaty said the convention ‘‘doesn’t fit with’’ Japanese culture, values and customs and urged the government to protect Japanese nationals fleeing from difficult circumstances such as abusive spouses and problems in foreign countries. Some pointed to the disadvantages faced by Japanese parents seeking a local court settlement on child custody abroad, such as expensive legal fees and the language barrier. Yamahana said the government led by the Democratic Party of Japan will further examine the possibility of joining the convention based on the results of the online survey. ‘‘We will discuss what we can do to ensure the welfare of children,’’ he said. 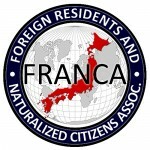 International pressure on Tokyo to act on the parental abduction issue has been growing, with legislative bodies in the United States and France recently adopting resolutions that call for Japan’s accession to the treaty. At present, 84 countries and regions are parties to the Hague Convention. Of the Group of Seven major economies, only Japan has yet to ratify the pact. Of the 64 respondents, 18 said they have abducted children and 19 said their children have been taken by their former spouses. A total of 27 said they have been slapped with restrictions on traveling with their children because Japan is not a party to the Hague Convention. By country, 26 respondents were linked to parental abduction cases in the United States, followed by nine in Australia and seven in Canada. Debito: The Ministry of Foreign Affairs has just started asking for opinions from the public regarding Japan’s ascension to the Hague Convention on the Civil Aspects of International Child Abduction (which provides guidelines for dealing with cases of children being taken across borders without the consent of both parents, as well as establishing custody and visitation; all past Debito.org articles on the issue here.). Sounds good until you consider the contexts. We’ve already had a lot of Japanese media portraying the Japanese side of an international marriage as victims, fleeing an abusive NJ. Even the odd crackpot lawyer gets airtime saying that signing the Hague will only empower the wrong side of the divorce (i.e. the allegedly violent and-by-the-way foreign side), justifying Japan keeping its status as a safe haven. Even the Kyodo article below shies away from calling this activity “abduction” by adding “so-called” inverted quotes (good thing the Convention says it plainly). But now we have the MOFA officially asking for public opinions from the goldfish bowl. 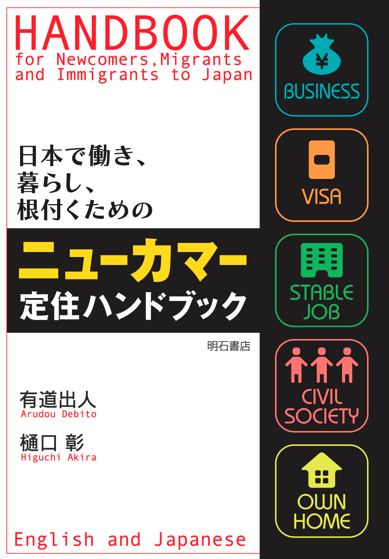 Despite the issue being one of international marriage and abduction, the survey is in Japanese only. Fine for those NJ who can read and comment in the language. But it still gives an undeniable advantage to the GOJ basically hearing only the “Japanese side” of the divorce. Let’s at least have it in English as well, shall we? TOKYO — Japan began Tuesday soliciting views via the Internet on the possibility of the country ratifying an international convention to deal with problems that arise when failed international marriages result in children wrongfully being taken to Japan by one parent. The online survey by the Foreign Ministry asks people who have been involved in the so-called parental ‘‘abductions’’ to Japan of children of failed marriages what they think about Japan’s accession to the 1980 Hague Convention on the Civil Aspects of International Child Abduction. Complaints are growing over cases in which a Japanese parent, often a mother, brings a child to Japan without the consent of the foreign parent, or regardless of custody determination in other countries, and denies the other parent access to the child. The convention provides a procedure for the prompt return of such ‘‘abducted’’ children to their habitual country of residence and protects parental access rights. Prime Minister Yukio Hatoyama has suggested that he is considering positively Japan’s accession to the Hague Convention and ratifying it during the next year’s ordinary Diet session. Foreign Minister Katsuya Okada said at a regular news conference Tuesday that the government will examine opinions collected through the online survey in studying the possibility of joining the convention. The questionnaire will be posted on the website of the Foreign Ministry and its 121 diplomatic missions abroad, he said. At present, 82 countries are parties to the Hague Convention. Of the Group of Eight major powers, Japan and Russia have yet to ratify the treaty. Surely US pressure on Japan to sign (with the recent not so veiled threat of withdrawing support from the GOJ on the “rachi mondai” issue vis a vis North Korea) is the ultimate deciding factor. The above results show only 17 were against out of 64, and since when did the GOJ care abut public opinion anyway (except to back up what it had already decided to do)? — Related to that, you might find this interesting. 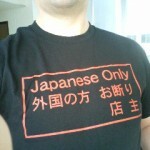 I think we should all rally behind this…as it has big implications for us non-kanji named citizens too!